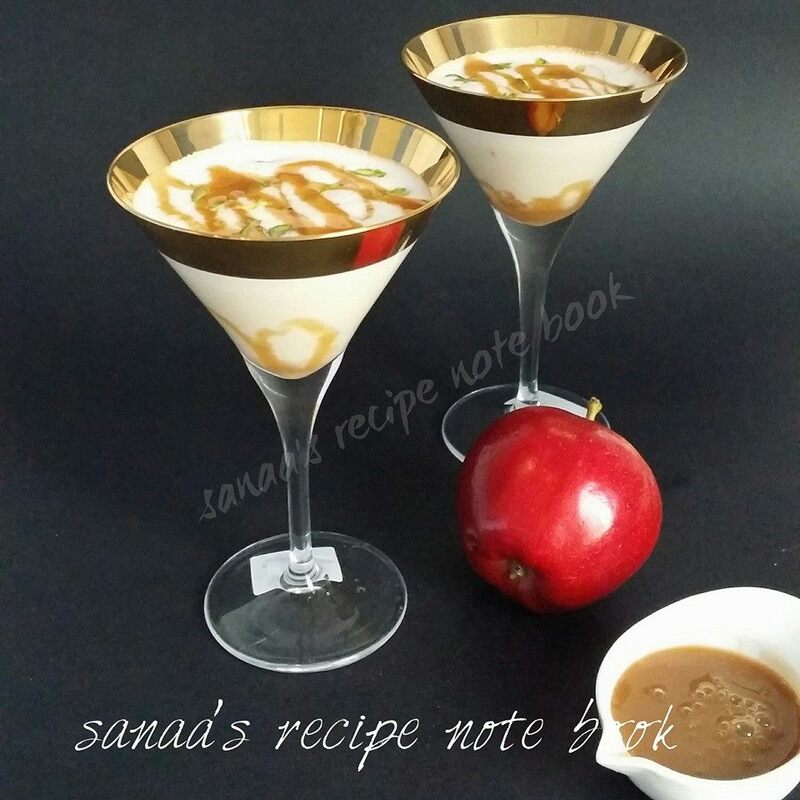 Blend well together chopped apple, caramel syrup, sugar and milk. Add the grated apple to it and mix with a spoon. Take 2 or 3 glasses, drizzle little, caramel syrup in the sides of the glass, pour the milk shake to it. Drizzle little caramel sauce at the top and sprinkle the chopped pistachios. Serve immediately.